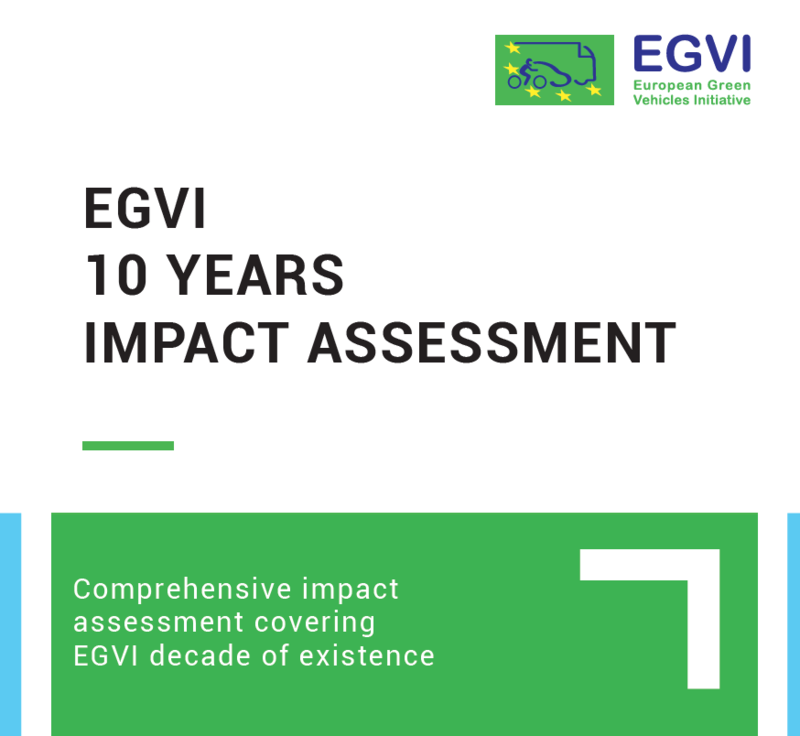 For its tenth anniversary, EGVI has decided to reflect back on its activities and to carry out a more comprehensive impact assessment covering its decade of existence with the support of two external consultancies: Advancy and EMISIA. A first assessment on the research PPPs established under the European Economic Recovery Programme was performed in 2013 and was very supportive of the research PPP model, although it noted that few of the projects have been yet completed and that it is still somewhat early to be definitive about the magnitude of the effect in terms of achieved commercialisation. EGVIA has already conducted an impact assessment in 2016. This analysis has already demonstrated tangible results obtained thanks to EGVI cPPP and was covering the 2009-2015 period. EGVI kept accelerating after this period. Beyond the impact assessment itself, one objective is to identify areas for improvements and opportunities for new R&D topics on clean and sustainable mobility. While Horizon Europe, the next Framework Programme for Research and Innovation, is currently being discussed, this new assessment aims at reflecting what has already been achieved by EGVI while identifying areas for improvements in the next financial framework. You can download the report below or from our documents section. TRA2020 Call for Submissions is now open! Deadline is 30 April 2019.